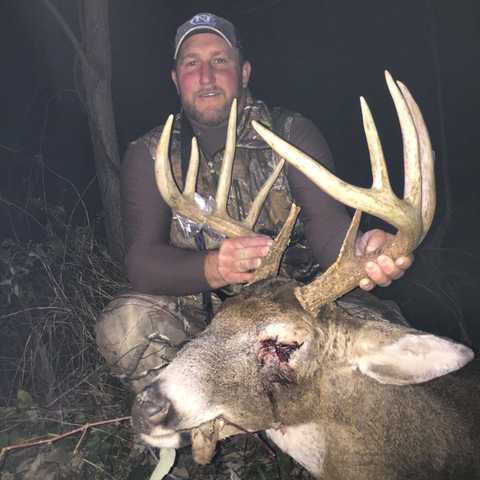 Whitetails are tough and amazing animals! 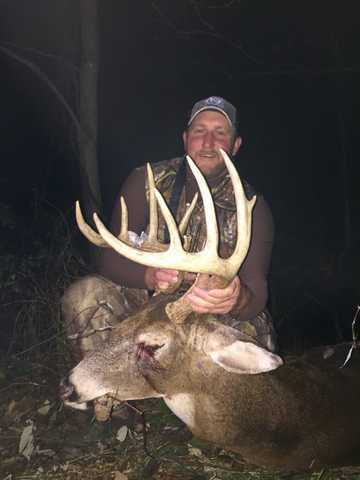 I was blessed to be able to harvest my largest Buck in Ohio this year while archery hunting with my Brother and Brother in law. When I shot my deer I could see he had an eye injury. 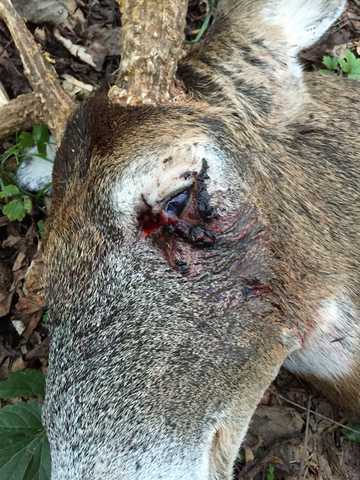 We thought that this buck had injured his eye due to fighting and getting horned in the eye. He also had some cuts on his nose. I got my Buck back home and took him to the taxidermist. My buddy who is doing my shoulder mount called me and said he was sending me some pictures. He said that I wasn't going to believe what he had found when skinning the deer. 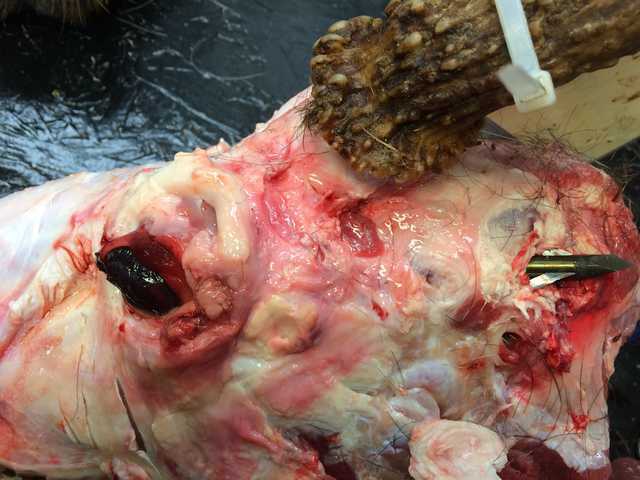 We discovered that the injury to the eye was due to someone that had shot the buck in the eye with an arrow! 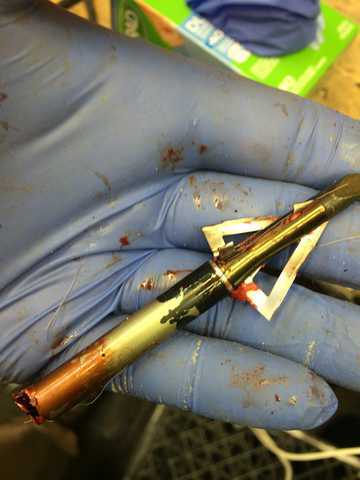 I have no idea why someone would try to shoot a deer from the angle that this arrow was lodged in the skull of this deer! Hopefully this wasn't done on purpose and was just a result of a poorly placed shot or the deer jumping the shot. It is amazing that this Buck was still acting like there was nothing wrong with him. They are tough and amazing animals. 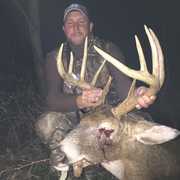 I am so thankful to have had the opportunity to harvest this bruiser! That is a great story, one for the book! WOW I CANT BELIEVE HE SURVIVED AN ARROW THRU THE EYE! GOOD THING YOU HARVESTED HIM AND PUT HIM OUT OF HIS MYSERY! Holy cow! What a story, Bobby.